A lot of couples often want to come up with a fun, new and unique guest book for their guests to sign. This idea actually came form Martha Stewart, but its a great one. Have an old fashioned type writer as your guest book. Stationed at the front of the ceremony or reception hall, this is a great way for people to wish you well with ease. A heavy majority of people in this day and age, can and do, know how to type on a keyboard. People know how to use computers and even grew up using type writers. This makes for an extremely easy use and fun way to enter more then just “congratulations” or “good luck”. It allows them to actually be able to write out a sentence or two in a short amount of time with out having to pick up and write it all with a pen. Typewriters, all though relatively cheap, are getting harder and harder to find. They are out dated a dead technology. How ever, they can be found at garage sales, online, or at your local flea market. Who knows, you might even still have one sitting in storage or have an older relative that still has one sitting in his or her living room. Its not something you will need to keep if you are only allowed to just borrow it, its the paper that comes out the top that will be more to your interest. 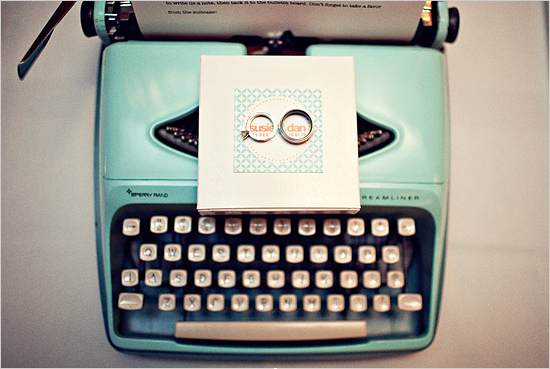 Plus a typewriter is typically quite photogenic and might go perfectly with the theme of your wedding. Especially if your having a traditional wedding. 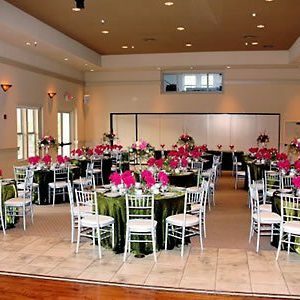 Even with modern weddings it can give it the “retro” or “vintage” look. Its a fantastic idea that is relatively cheap and only takes a little sniffing around to be able to find one!